"Moog Coil Springs --. Notes : Constant rate springs. Quantity sold : Set of 2. Therefore all implied warranties that may apply to your part are limited to the duration of this written warranty. Each warranty gives you specific rights, and you may have other rights which vary from state to state. Part Number: 50740. Front Lowering: 1. Rear Lowering: 1.2. All H&R springs are crafted from a special (hf) 54SiCr6 spring steel to ensure premium quality and performance. H&R Springs are shot-peened to increase their life by more than 200%. PartNumber: 50740. H&R Sport Springs are crafted from a special 54SiCr6 spring steel to ensure quality and performance. Special orders from MFG's can take longer depending on the manufacturer, availability and etc. "AC Delco Coil Springs --. Series : AC Delco Professional. Notes : 0.48 in. Rear Spring Relaxed Length; 9 in. Rear Spring Compressed Length; 382 LB Load Rate Rear; Steel. Quantity sold : Set of 2. Therefore all implied warranties that may apply to your part are limited to the duration of this written warranty. Replaces oe number : 19264661. "AC Delco Coil Springs --. Series : AC Delco Professional. Notes : 0.48 in. Rear Spring Relaxed Length; 9 in. Rear Spring Compressed Length; 487 LB Load Rate Rear; Steel. Model: HHR. Front Lowering: 1.0". H&R Sport Springs are crafted from a special 54SiCr6 spring steel to ensure quality and performance. Rear Lowering: 1.2". Make: Chevrolet. H&R is all about quality. MOOG® springs are vinyl-coated for corrosion resistance and extended service life. Trending at $43.96eBay determines this price through a machine learned model of the product's sale prices within the last 90 days. Part Number: JCS1543T. DISCLOSURE: PHOTOS DO NOT REPRESENT ACTUAL PART. "Moog Spring Seat --. Condition : New. Engineered for simple installation and exact fit. Top-quality design for ultimate sturdiness. Therefore all implied warranties that may apply to your part are limited to the duration of this written warranty. Trending at $26.28eBay determines this price through a machine learned model of the product's sale prices within the last 90 days. 2006 Chevrolet HHR Variable Rate. 2007-2009 Chevrolet HHR LS Model; LT Model; Variable Rate. Coil Springs have three types of ends: Square, Tangential and Pigtail. It is important that you select a coil spring that matches BOTH your end types, otherwise the coil spring won't fit. Super Springs CSS-1168 Coil Sumosprings; Coil Capacity Increase 10-20 Percent;Super Springs CSS-1168 Coil Sumosprings. Public Forums. Need to make a change?. Disclosure of Information Policy. Your credit card information is encrypted while traveling the Internet. "Moog Coil Spring Insulator --. Reduces noise and acts as cushion between coil spring and mounting points ". Condition : New. Engineered to precise OE standards for proper fit. Therefore all implied warranties that may apply to your part are limited to the duration of this written warranty. Part Number 50740. 2005 - 2011 HHR ALL ALL ALL ALL ALL ALL Lowering varies by engine size and model. Front Lowering 1in. Rear Lowering 1.2in. H&R Sport Springs are crafted from a special 54SiCr6 spring steel to ensure quality and performance. 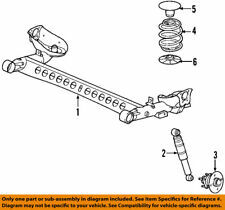 Moog Chassis Parts 81158 COIL SPRINGMfr# 81158 - COIL SPRING. They didn't want just a website with parts, but they wanted to have passionate people like them who knew the cars inside and out working with them. Monroe Shocks & Struts 907909 Coil Spring InsulatorCoil Spring Insulator. Public Forums. Need to make a change?. Disclosure of Information Policy. Your credit card information is encrypted while traveling the Internet. Schrader P/N 20153 Dill P/N 9153. 2009 Allure. Warranty Claims. 2010-2012 Camaro. 2007-2011 Aveo. 2007-2012 Avalanche. 1 Set= 4 Pieces. 2010-2012 Volt. 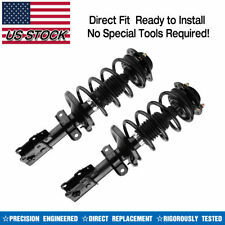 Front Quick Complete Struts & Coil Spring Assemblies for Chevrolet Cobalt, HHR & Pontiac G5, Pursuit. 2006 - 2011 Chevrolet HHR. 2007-2009 Pontiac G5. 2005-2006 Pontiac Pursuit. 2006 CHEVROLET HHR 4 2.2 Wagon FWD. Each complete strut includes a premium strut, coil spring, strut mount, boot, bumper kit, spring seat and isolator. Complete Strut Assembly includes strut, coil spring (when applicable), strut mount, boot, bumper kit, spring seat and isolator. 2005-2011 CHEVOLET HHR. H&R SPORT SPRINGS SERIES LOWERING SPRINGS. 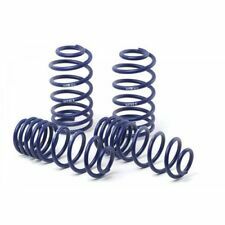 ALL H&R SPRINGS ARE CRAFTED FROM SPECIAL 54SiCr6 SPRING STEEL. APPROX DROP 1.0" FRONT 1.2" REAR. LOWER DROP MAY VARY FROM DIFFERENT ENGINE SIZE. Part Number: JCS1543T. Position: Rear. We are always happy to assist you with finding the correct item you need. To confirm that this part fits your vehicle, enter your vehicle's Year, Make, Model, Trim and Engine in theCompatibility Table. KYB Suspension SM5570 KYB Strut MountsStrut Mounts. They improve the quality of the installation while extending the life of the strut and enhancing the safety and performance of your vehicle. Public Forums. 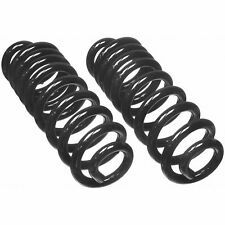 Monroe Shocks & Struts 907910 Coil Spring InsulatorCoil Spring Insulator. Public Forums. Need to make a change?. Disclosure of Information Policy. Your credit card information is encrypted while traveling the Internet. KYB Suspension SM5571 KYB Strut MountsStrut Mounts. They improve the quality of the installation while extending the life of the strut and enhancing the safety and performance of your vehicle. Public Forums. Part Number: 907909. DISCLOSURE: PHOTOS DO NOT REPRESENT ACTUAL PART. CHEVROLET HHR 2008-2010. PONTIAC G5 2007-2010. PONTIAC PURSUIT 2005-2006. CHEVROLET COBALT 2005-2010. On both, Moog heat-treats the alloy steel to ensure the coils rebound fully and resist sagging. Variable Rate; Sold In Pairs. 2009 Chevrolet HHR SS Model; Variable Rate. 2008 Chevrolet HHR Variable Rate. Coil Springs have three types of ends: Square, Tangential and Pigtail. It is important that you select a coil spring that matches BOTH your end types, otherwise the coil spring won't fit. FOR SALE WE HAVE A 06-10 CHEVROLET HHR REAR LEFT & RIGHT DRIVER PASSENGER SIDE COIL SPRINGS OEM #1. Grand Tex Part Number: 22729259. You get what you see! If you see it, we have it! About the manufacturer.